Daewoo washing machine is one of the most famous models in Uzbekistan. As there are many kinds of the washers Daewoo, the price for the repair of this washing machine is different. Our company performs not only a quality repair of the washing machines Daewoo, but also eliminates any washer’s malfunctions of household or industrial purpose. The cooperation with many companies of manufacturers, allows us to buy spare parts without extra charge. 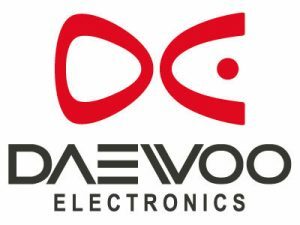 Undoubtedly, the repair of the washing machines Daewoo must be done only with qualified specialists with a great experience. If you make the independent repair, most likely, you will just complicate the situation. That’s why you’d better call on us and make a service call. Don’t overload your washing machine. Don’t use the washing machine very often, you can use it repeatedly only in 1-2 hours. Install power supply filter for electric energy, as voltage jump leads to some problems in the operation of the washing machine. If the washing machine is not used for a long time, the belt of the washing machine may break during the operation. One of the most common problems of the washing machines breakage is a scale producing water. Therefore, if it is possible, use water filter. Unpocket all small rubbish and coins. Playing with control panel for children is not allowed. If you washer was broken and stopped working, call “Stiralka Info” Company and we will improve the life ratio of your washing machine. If you noticed a strange noise or other deviations in the operation of your washing machine, we advise you to call on our service center and make a complete diagnostics.